Henry Morrison Flagler can be credited for the creation of Palm Beach. Flagler, an American industrialist and key developer in what is now the Florida East Coast Railway is known as the father of Palm Beach and Miami. The development of the Palm Beach community was originally based on Flagler’s two luxury resort hotels as a winter getaway for the wealthy and privileged. Palm Beach is located on the tropical Florida Atlantic coast line and is situated on a 16-mile long barrier island. The Intracoastal Waterway borders it on the west, separating it from the mainland. 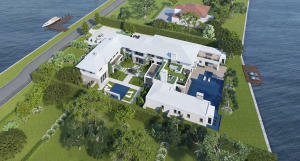 Here you will find exquisite Palm Beach real estate in addition to a myriad of entertainment and recreational options. The Royal Poinciana Hotel was built in 1900 and closed in 1934. The Palm Beach Inn opened in 1896, and was renamed The Breakers Hotel in 1901. In 1904 rooms started at $4 a night and included breakfast, lunch, and dinner. Today the Breakers still operates as a historical luxury resort and prices start at about $500 a night and rise up to $3,750 for the Imperial Suite per night. These hotels acted as the foundation for the city. The barrier island itself was only accessible because of Flagler’s Florida East Coast Railway. Flagler’s house lots were purchased by the beneficiaries of the Gilded Age and in 1902 he himself built a Beaux-Arts mansion known as Whitehall. He helped bring about the iconic Palm Beach winter season by constantly entertaining guests. The city was incorporated on April 17, 1911. 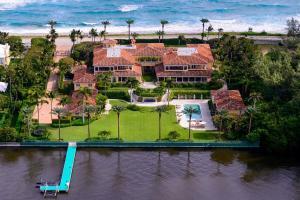 On this exclusive barrier island, known as Palm Beach, you will find everything from breathtaking island mansions, to waterfront condos for sale. With only 16-miles to go around, the real estate here is some of the most exclusive in the world. Many of the sprawling mansions here were designed by famous architects like Mizner, Fatio, and Volk. In the North End, you will find quiet and peaceful streets, and proximity to the sandy beaches. Over in Greenwich Village you will find a different lifestyle near Main Street which has a mixture of classic and current home options. If you prefer a historical home with a story to tell, be sure to examine the homes in the center of the city. Here you will find houses from the boom times of the 20’s and 30’s that blend right into the nearby commercial district. As you can see, these luxurious homes demand a price that speaks to their quality and exclusivity. This hotel has a rich history as the anchor for what would become Palm Beach. Today it brings in countless visitors each year with enjoy the climate, entertainment, and charm that this city offers. With an Italian-Renaissance setting and a wide range of amenities, it’s worth visiting this place to see how far it has come. Owned by Donald Trump, this private club encompasses 20 acres of gardens and ocean views. It is also listed as a landmark by the National Register of Historic Places. Members here can access the beach and pool facilities while also enjoying the world class entertainment. With 126 rooms, there’s plenty of room for visitors to come and stay in this beautiful and elegant locale. Today the mansion is open to the public as a National Historic Landmark as the Flagler Museum. It has guided tours, ever-changing exhibits, and special programs. This is one of the most well-known shopping districts in the country. The boutiques here offer resort and designer fashion, accessories, gifts, art, antiques, as well as fine and casual dining. It is located between the ocean and the Intracoastal Waterway. With parks to add to the list, this place becomes more than a shopping district. Instead, Worth Avenue is an experience. To live your greatest years on an island paradise is not only a possibility, but it can be a reality. 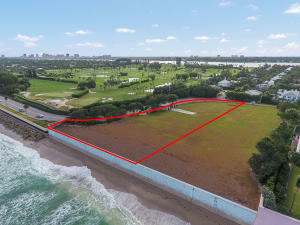 All it takes is a portion of Palm Beach real estate to call your own, and you can become part of this vibrant and idyllic community!